Healdsburg, California is a small tourist oriented town in northern Sonoma County. Due to its most important wine producing regions (Russian River, Dry Creek, & Alexander Valley AVAs), Healdsburg, California has been awarded continuously as one of the top 10 small towns in America. The town is is centered on a 19th-century plaza that provides an important focal point for tourists and locals. We look forward to your visit to Healdsburg, California and the Camellia Inn. The Camellia Inn Bed and Breakfast located in the heart of downtown Healdsburg is the place you want to call home when you are deciding on where to hang your hats during your next vacations, Spa Days or getaways. 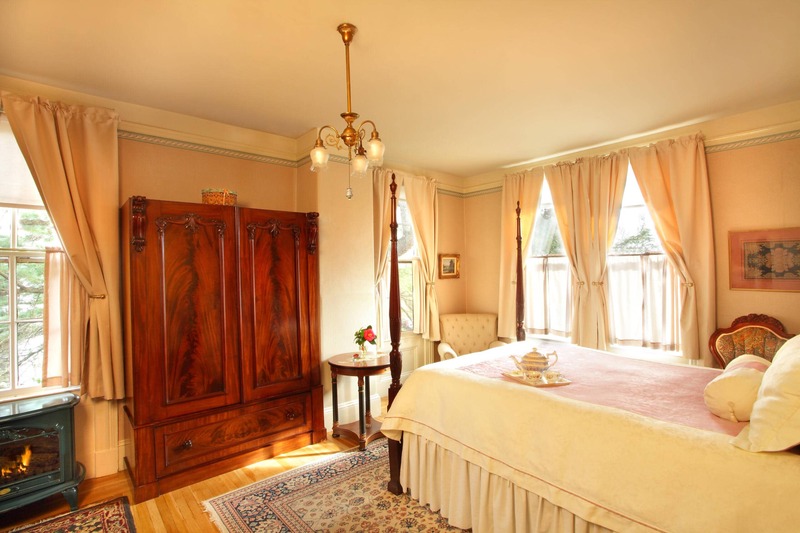 Our Healdsburg, California B&B has been family run for nearly 40 years. Owner Lucy Lewand took ownership from her parents and has transformed the Camellia Inn Bed and Breakfast into one of the most desired lodgings in Healdsburg. Her staff has been with her almost as long as the Bed and Breakfast has been under her ownership. Needless to say, when you decide on the Camellia Inn, you will be choosing a place that takes pride in being one of the most desired places to stay in Healdsburg, California for so many reasons. During these past 30 plus years, our Healdsburg B&B has developed and continues to develop deep and cherished relationships with our community and its surrounding area. These relationships give our B&B a unique edge when we are planning your stay with us. These connections help us in providing the very best experience for when you are lodging in Healdsburg. Local taverns and the Bear Republic brew-pub are close to the historic Healdsburg town plaza where Zagat-rated restaurants, wine hospitality rooms, antique stores, art galleries and chic shops provide the best of Wine Country. Also, with every season that is on the horizon, an abundance of special events and free concerts present themselves. Our Camelia Inn B&B in Healdsburg, Ca has innkeepers that will be up to date on everything going on, so you won’t feel like you’ve missed out on anything. We are proud to be just a skip away from so much beauty that our downtown Healdsburg Plaza has to offer. There is also an abundance of beautiful features that you will experience when you stay at our Healdsburg B&B. When the Lewand’s took over ownership of the Inn, they were lucky to have a landscape that was filled richly with over 80 different forms of Camellias. The camellia flower speaks to the heart and expresses positive feelings. Desire or Passion, Refinement, Perfection & Excellence and Faithfulness & Longevity are all the most common meanings for the Camellia. These meanings are the reason why the Lewand’s decided on naming their Healdsburg b&b, the Camellia Inn. I think we all can agree, when you check into the Healdsburg Camellia Inn or any place you’ve booked, there’s that excitement and anticipation to see what your room looks like. The 9 rooms at our Healdsburg b&b feature a bath and shower. Our rooms include comfortable beds, plush sheets, privacy, and free wireless service. We offer a beautiful bright upstairs Budget room that includes a large, private classic 1920s bathroom with an extra-long tub which is across a short hallway. The Queen rooms at our b&b are both stunning and comfortable. You can relax in your four poster or canopy bed and enjoy your private bath. We also offer a queen deluxe accommodation at our Healdsburg Bed and Breakfast. This room features four poster beds. You can pamper yourself in the whirlpool tub while also relaxing around a gas fireplace. Another room choice we offer at the Camellia Inn Bed and Breakfast is a King room. Our largest wine country rooms include king beds, whirlpool tubs, gas fireplaces and a beautiful inviting sitting area. The final room our Healdsburg b&b can offer you is a suite. This suite is perfect for a family of three or any three guests. It offers a full-size Queen room, large bathroom with double sinks, whirlpool tub and a cozy smaller room with a double bed. If you book the suite as a Family Package you can enjoy discounts on family activities, and at family restaurants. Our Heron House Vacation rental is only three miles from our Healdsburg Inn. The Heron House is a 3-bedroom, 2 bath, newly renovated home, inside and out, with a new deluxe queen LA-Z-BOY sleeper sofa with an up-graded ‘air-comfort’ mattress, accommodating up to 8 guests and is child friendly. The Cypress House is 2 blocks away from our Healdsburg b&b. This rental will accommodate up to 6 people and is fully loaded with everything you need. It includes 1 king bed, 1 queen bed & 1 sofa bed and two baths. It’s an open concept living space, with full kitchen and an upstairs patio-terrace with a fabulous view. Our final vacation rental option is the Cypress Studio which is also a part of the main Cypress house. It’s a downstairs studio that sleeps two people. This Healdsburg, Ca rental includes a king bed, private courtyard and entrance and a kitchenette as well as being handicap accessible and has high speed internet and a television. How spot on is this quote from Caroline Cooney? Why is it so much better to eat breakfast at a restaurant rather than at home? It’s probably the fact that there’s no clean up involved and that the food is probably fresher than what you have sitting in your refrigerators. Our Healdsburg Inn takes pride in offering the very best rooms, the very best staff and the very best experience This also includes the very best breakfast! Our Healdsburg breakfast at the Camellia Inn will be doing the cooking for you. Fresh, Locally Grown, & Delicious is what we live by when it comes to our breakfast. Whenever possible, our breakfast ingredients are locally-sourced, organic and sustainable, in-season and “right off the farm” fresh. Our breakfast accommodations in Healdsburg are all about giving you the opportunity to start your day just as if you were at home. We start serving breakfast at 8:30am and that’ll last until 10am. Since we’ve been doing this for so long, we understand that everyone’s schedules are different, so are your diets and how you want to experience your breakfast. We don’t want you to miss out and not be able to enjoy the food we offer. If you must be somewhere earlier than 8:30, then we’ll put together a ‘To-Go’ package for you. It includes a croissant breakfast sandwich of your choice, seasonal fruit and a voucher for coffee that will help you get that early start. We also understand that everyone is different in the way they eat. Our Healdsburg b&b kitchen staff, with advanced notice, will gladly modify our recipes to meet almost any food allergy and special dietary need you may have. Vegetarian, vegan, gluten free, or dairy free. It’s all part of ensuring that your Camellia Inn experience is everything you could hope for. If you are looking to achieve the at home experience during breakfast, we want to accommodate that as well. You can enjoy our homestyle breakfast without any intrusions. Take the food to your room, sit out by the pool, or just relax at the main dining table, all options are encouraged. If you’d like a more social setting, our guests are always welcome and encouraged to talk with the staff about anything and interact with any of the other residents. I love coming across great quotes like this. Especially those that our Camellia Inn B&B in downtown Healdsburg can truly identify with. There’s no greater truth than coming to Healdsburg and wanting to become a pedestrian almost immediately. There are so many things to experience while on foot in downtown Healdsburg. If you want to do some shopping, stop into some wine or beer bars, or enjoy some gallery time, staying with us at the Camellia Inn b&b in Healdsburg is where your adventure will begin. We are walking distance to so much, or you can park your car in the center of town and mosey around and experience some of these exceptional Healdsburg destinations. Our Healdsburg lodgings are exceptional for what we offer our guests, but our surrounding area is bountiful in what it offers. If you are looking to do a little shopping while you stay with us than maybe these places are perfect for you. Calling all women! Calling all women! If you’re visiting downtown Healdsburg for your shopping needs, then a stop at Zizi is a must. They specialize in creatively casual clothing. Zizi is one of the most popular women’s stores in downtown Healdsburg. From beautiful Jewelry, to Stiletto’s to casual clothing, Zizi is a great stop for you. Don’t hesitate to make a stop here, they have a lot to offer. Who isn’t in the mood for a unique souvenir while on vacation in a town with a rich history like Healdsburg? If you said you, then make a pit stop into Shoffeitt’s Off the Square. This downtown Healdsburg icon has a beautiful, stylish and very well put together collection of Vintage, Antique and hand-made treasures for you and your family to look at. It’s a downtown Healdsburg staple! Another reason why our Healdsburg b&b is so lucky to be where we are is due to the magnificent beauty we have for any tourist or local to experience. Whether it’s just on a walk around the Plaza, or if you choose to visit a gallery, there is so much to see and appreciate. Here are a couple galleries we believe you’d enjoy spending some time in while you stay at the Camellia Inn Bed and Breakfast. The Christopher Hill Gallery is exactly where it should be and that’s in the heart old downtown Healdsburg. The Christopher Hill Gallery is an exceptional spot, where you’ll be able to uncover for yourself a beautiful collection of treasures. The way the collections are presented to you and how it’s so significant and nestled within the area makes it such a beautiful choice to experience. We at the Camellia Inn b&b know firsthand just how unique their artwork is. We appreciate them, and we know that you will as well. A San Francisco transplant, this art gallery has become fully immersed in the community of Healdsburg. They try and emphasize the art from Northern California Artists. They are in a Palladio style building in downtown Healdsburg. Their gallery has three stories of light filled rooms, showcasing the gallery’s broad palette of talent from landscapes and figurative, to abstract. We think this is one of a select few stops you should make while roaming downtown Healdsburg. One World Fair Trade was established in 2002 and are independently owned. They specialize in authentic handmade gifts, jewelry, home decor, art, sculpture, textiles, clothing and women’s accessories representing the diverse cultures of artisans in Asia, Africa, Latin America, Middle East and the United States. The sale of their products improves the livelihood of disadvantaged artisans and help pay for food, education, healthcare and housing for those who would otherwise lack opportunity for a stable income. They have created a sustainable market with long term buying relationships with their producers representing over 50 countries. I think you will all agree with us at the Camellia Inn bed and breakfast on this, with any vacation, the need for quality wine and beer is a must. We love our location the most for this reason because, you don’t need to drive anywhere if you choose to drink. The front door of our Healdsburg b&b is walking distance to so much. You can walk around, take part in the wonderful flavors of the area and walk home to your nice and comfortable bed. Here is a nice list of some wine and beer bars that we think you’ll love. Baci is only a five-minute walk from your Camellia Inn Bed and Breakfast lodging. When you check out this place, you’ll have to be in the mood for an up-tempo and busy atmosphere. This is a high flying social buzzing restaurant that has excellent service and even better food. Start off with the Carpaccio and the Burrata appetizers, follow that with the short ribs, the excellent Bolognese sauce or the exceptional Petrale Sole. If you don’t already have a sense about Wines and what they should be paired with, don’t hesitate to ask your servers. They are some of the best around and most knowledgeable on the wine pairing topic. They are glad and ready to help you get the very best out of your dining experience. Located in downtown Healdsburg, the East Coast and South America meet Wine Country at Willi’s Sea­food & Raw Bar. The inviting vibrant decor and an exten­sive list of small plates combined with the eclectic seasonal cocktail menu and wide-ranging wine list. Located at 725 4th street in Santa Rosa, California, Russian River Brewing Company is a must visit while lodging anywhere in Sonoma County. Their beer list is second to none in the area. From the Blind Pig to their most popular Pliny IPA, the beers are amazing. But a lot of people don’t recognize Russian River Brewing Company for some of the most delicious appetizers, salads and mouth-watering Pizzas. This is what so many people order every time they check into Russian River Brewing Company, A Pint of Blind Pig, A Cesar Salad (which could feed 2), the Drew Bites (a cheese pizza cut up into little bites and topped pepperoncini’s) and followed by a Mikey Pizza (mozzarella, marinara, pepperoni, sausage & caramelized onions). If I’m not too full, you can finish the evening with a Belgian style beer that has a fruity taste, it’s called the Damnation. The service is a little spotty because the place is busy almost every night and day. But, it’s well worth the reward when you take your first sips and nibbles. Just because we started off with a brewery in Santa Rosa, that doesn’t mean we aren’t confident in the bear republic which is only a short walk from our downtown Healdsburg b&b. The Bear Republic has two locations. Both are exceptional, but the one located just around the corner from our bed and breakfast is the original, and the best, in our opinion. Located in the heart of Wine Country, on the corner of Healdsburg’s historic downtown square, Bear Republic Brewing Company offers award-winning food and world class, handcrafted ales. Established in 1995 by third and fourth generation Sonoma County residents, the Norgrove family invites you to come and discover their diverse menu, family friendly atmosphere and more than 14 freshly brewed beers on tap. You can’t go wrong here. Another great winery to visit while lodging in Healdsburg is Bella Vineyards. According to Libby Cunningham who works there, “Bella’s wine cave is something everyone loves. The atmosphere is amazing. It’s a great place to picnic on the grass. It’s pet friendly and you will enjoy a great glass of wine.” She also went on to talk about a one of their wine selections which is the Lily Hill estate which is grown on the property. We trust Libby immensely, so you should most definitely put this on top of that itinerary during your stay with us at the Camellia Inn or wherever you are lodging in Healdsburg. One of the most excellent things about the Camellia Inn bed and breakfast in Healdsburg is, we are in walking distance to almost anything you want to do. Two minutes from the Camellia Inn’s front door is Matheson street, and that’s where the fantastic Williamson Wines Tasting Room resides. This shop is a combination tasting room and Wine shop. What sets this place apart from some other tasting rooms is that you don’t need a reservation. If you’re out and about and enjoying Healdsburg, just head on in. The owners have many award-winning wines for you to taste as well as some food that’ll pair exceptionally well. If you want to plan a private tasting, Williamson Wines Tasting room would love to accommodate that. If you don’t know who to contact, we at the Camellia Inn would love to help you with this. Simi Winery is a perfect destination when you are staying at our b&b in Healdsburg, Ca. Simi is just like us at The Camellia Inn in terms of wanting to provide you with that home-like atmosphere. Enjoy their wine while you sit outside on their lovely terrace. If you are a lover of great wine, Simi won’t let you down here. Like it says on their website, “Great Wine Brings People Together!” Simi has a beautiful and warm kitchen as well and is always filled with wonderful people. All-together, our little b&b in Healdsburg is happy to say that Simi Winery is one of the best wineries Healdsburg has to offer. If you are looking to enjoy an excellent Pinot, then heading over to Matrix Winery is what our Camellia Inn bed and breakfast thinks is a great idea. They have wonderful views of the beautiful Russian River Valley. Their tasting room has a friendly staff and is versed with immense wine knowledge. The overall experience waiting for you at Matrix Winery is second to none in our humble opinion. You will be tasting some of the best wines around at one of Healdsburg, California’s finest wineries. The idea of getting away from the stress of life and letting your struggles fade away is exactly what we want for you at the Camellia Inn Bed and Breakfast. 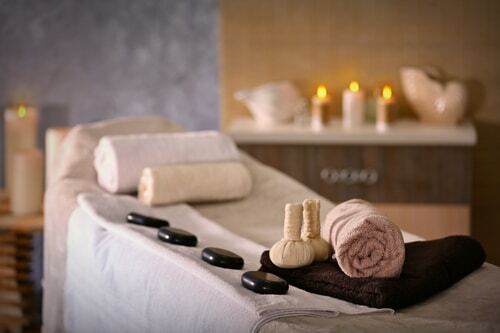 Our Spa in Healdsburg Ca can provide you with luxurious spa treatments that will renew the body and soul. Do you want a couple’s treatment? Do you want a girl’s spa in Healdsburg Ca day? These are just two questions to ask yourself when you are thinking about booking a spa day with us. Our Healdsburg Spa is all about you and giving you the very best experience possible. We’ll bring that serene setting when you come to our sun porch that’s rich with period tile floors and a tall ceiling. It’s the perfect location to let all your “cares drift right into space.” Another cool option we offer is to have an individual massage in your room. Just ask, and we’ll make it happen. We offer Reiki massages, Swedish massages, Deep Tissue Massages, a Master’s Massage and a handful of others. If you want a different spa experience than the ones we offer at the Camellia Inn b&b, then we highly recommend Elements on the Plaza and The Spa at the Healdsburg hotel. Elements on the Plaza offers you a wonderful location, which is right on the Healdsburg Plaza. You can book a massage, facial, or seasonal body polish that promotes your skin’s natural ability to regenerate. At the Spa at the Healdsburg Hotel, they will use custom products crafted from local Sonoma County farms. Enjoy the Wine and Honey Wrap, with local honey and organically farmed sauvignon blanc from Quivira Vineyards in the Dry Creek Valley. We can’t stress enough how much our community in Healdsburg supports one another. When one does well, we all do well. With that said if we are booked up or you want a different experience than the one we offer at the Camellia Inn bed and breakfast, then there are many other hotels or bed and breakfast places for you to stay in Healdsburg. Hotel Healdsburg is a great option for you to enjoy wonderful hospitality. The Hotel Healdsburg is located on the western edge of the historic Healdsburg plaza. It’s convenient and luxurious and offers excellent spa treatments, a delicious menu and a marvelous spirit bar. This Healdsburg hotel is just 1 block away from the Healdsburg plaza. It’s a quiet, secluded property that’s perfect for couples or families seeking a hip vibe with a comfortable and luxurious atmosphere. The Duchamp has six private cottages, a pool, and gardens for guests to explore. 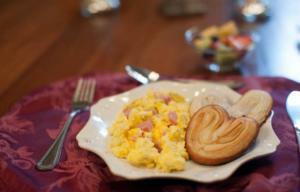 Bella Luna is another fabulous Healdsburg bed and breakfast choice for you to consider. The Bella Luna isn’t far from the Healdsburg Town square. Their staff is excellent, and they offer an elegant and comfortable experience. Their accommodations offer a backyard deck, heated pool, and lush gardens that can provide you with ultimate relaxation. If you are looking to book a Healdsburg Vacation rental. We highly recommend these three options. Grapeleaf Vineyard Cottages, Healdsburg Home on The Vineyard, and Mona are excellent choices for you to consider because they all offer a private comfortable setting that will make you feel like you are home away from home. There is so much for you to do and see when you are lodging in Healdsburg, Ca. Contact us to put that special weekend together for you. 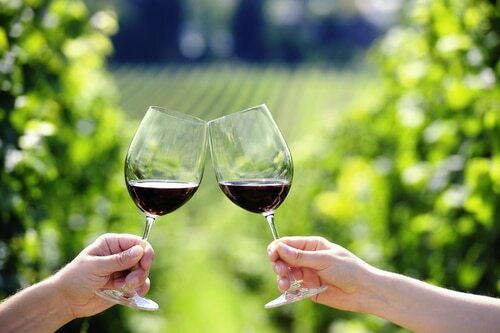 We have ideas like going on a Wine Country Walking Tour, going on a Wine Country Carriage ride, going on a Wine Country Bike Tour, or purchasing one of our Camellia Inn Specials and packages. Our most popular package is the Camellia Inn-Dulge. This is our signature special spa in Healdsburg package. When selecting this brilliant spa package, you’ll be able to celebrate the very best of Sonoma County. Kick back with a master’s massage, then head out to dine in downtown Healdsburg at one of the many wonderful restaurants and enjoy so much more. This spa in Healdsburg special is a two-night minimum, and worth it. Another spa package offered at our b&b is the Wine Country Date special. This Wine Country Date special package is also a two-night stay and offers you that Spa in Healdsburg experience you are badly looking for. From the Camellia Inn Signature Massage to the Boutique Winery Tastings for two, this package has you covered. Work Out Wellness package is one of those really unique spa in Healdsburg packages we highly recommend booking immediately. If you want to get out and experience the wine country on a bicycle and then come back for that massage and full spa in Healdsburg experience this package is perfect. This is a two-night stay in accommodations of your choice. It includes a couple’s 90-minute Deep Tissue Massage, Bike Rental for Two, Two One-Day Passes at Parkpoint Health Club, Soothing Bath Salts, Full Concierge Service and daily full Breakfast with house-made pastries, deliciously creative egg dishes, fresh fruit, locally roasted coffee, juice, and more. There’s no shortage of ways to contact us at the Camellia Inn Bed and Breakfast. You can call us at (707) 433-8182, or email us at info@camellia.com, or come by to talk to us in person. We are located at 211 North St, Healdsburg, CA 95448. Our excellent staff is waiting your correspondence so we can start planning that weekend to remember.